It takes a lot of work to prepare a major motion picture for its premiere on thousands of screens across the country and the world. The ticket sales on opening weekend are a make-or-break proposition, sending films into more theaters if they do well or into DVD and VHS boxes if they don't. And, with the studios putting millions on the line, not much is left to chance; there are trailers and TV commercials, print ads and press junkets, star appearances and select screenings. These movie-marketing machines are designed to saturate the media and stir public interest by hitting the big media and culture centers. It's a trickle-down system. Those of us in the rest of America, including Native America, are expected to get the message through the network of advertising and technology that now infiltrates every corner of the 'civilized' world. In February, a rare event happened: Disney Touchstone Picture's new film 'Hidalgo,' had a press stop in Rapid City, South Dakota. 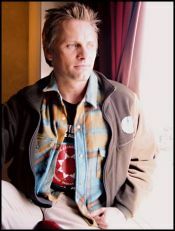 Every so often a movie will have a premiere for the public in a smaller market where it was filmed, but this was a private press screening with all of maybe a dozen invited guests in the theater, and interviews were scheduled with the film's mega-star, Viggo Mortensen. Mortensen brought 'Hidalgo' to Rapid City so that both the Native and non-Indian audiences in the area could claim their personal connection to the film. The story is partially set in South Dakota, and scenes were filmed here in 2003. But South Dakota's connection to the film involves not only the physical geography of over 100 years ago, but also the social and emotional geography of the people who lived through those turbulent 'Indian War' times, and for their descendants who still populate the landscape here today. Hidalgo is based on the true-life story of renowned Dakota Territory horseman and racer Frank T. Hopkins, who often worked for the US Cavalry in the late 1800's as a dispatch rider. Hopkins was, according to the story, born of a Lakota mother and a European father. He lived mostly a drifting life with his beloved mustang paint stallion, Hidalgo, unsure of his place in the world, until he unwittingly delivered the US Cavalry orders that lead to the Massacre at Wounded Knee. This event turned his life, abruptly waking him to the realities of the world around him and the responsibility of choice. After realizing the impact his actions (and lack thereof) had on the fate of his people, Hopkins joins Buffalo Bill's Wild West show and watches his life fall apart into drinking and despair. Through the notoriety he gains in Buffalo Bill's show, Hopkins is offered the challenge of racing in a 3000-mile desert endurance race in Arabia known as the "Ocean of Fire." This race tests Hopkins to stand up to the challenges of life, to learn about himself and his culture through his exposure to the culture of Arabia, and subsequently to the responsibilities of his own free will. Mortensen felt it was his responsibility to bring the film back to the people who shared both themselves and their history to make the story real for the rest of the world. Not only does Mortensen bring the story back to the people here, but he brings himself, which means even more to those who allowed their personal family history - which includes the Ghost Dance and the Massacre at Wounded Knee - to be told to an international audience. Tell me what you like about your new film, Hidalgo? Can you give us an example? Why do you think this is important? Hidalgo is a big budget movie where one of the principal characters travels through different cultures and does not making a big deal of it, but treats those cultures, whether it be the Lakota culture or the Arab/Muslim culture with respect. It shouldn't be remarkable to just show people a story and let them think for themselves. If you're making an entertainment picture, a large story like this, you can also get people thinking about a lot of issues. You can get people thinking about history, multiculturalism, tolerance and the fact that people are people. Simple ideas can come across really well when you don't force it. How did you connect with the film, the character of Frank T. Hopkins? There's an aspect which is something that's just a coincidence, and an interesting one that I have mixed feelings about: through my mom, my brothers and I are related to William F. Cody - to Buffalo Bill. And so as a kid I'd hear stories about it and as I grew up I'd watch the portrayals in different movies and read all the books I could and the more I learned the more mixed feelings I had about it but it's still interesting. What does the presence of Buffalo Bill play in the movie? He was a part of the mythologizing of the West and that sort of perverting of the image of not just Indians but Cowboys, too. It was at an important time, a transition point in history, for the United States. It was the end of the 19th Century, when the United States for better and for worse starts looking outside of it's borders because it's kind of 'run the table' here and the country is trying to find its place in the world and how it's going to participate in world affairs. There's been good and bad in The United States becoming part of an international community, obviously. Committing some of the same sins overseas as they committed at home, but also at times they've been a force of good. Buffalo Bill also did preserve some image if the Old West for us now, and partly made it possible for a film like Hidalgo to exist. It was a romanticized imagery. Yeah. But you get the feeling that Buffalo Bill probably was a really good shot and a good horseman, but he was perverting certain aspects of history of the West. It's the creation of an icon. What we're witnessing in 'Hidalgo' is the creation of the future icon. This film will help shape what people will think about the Old West, the Ghost Dance and Massacre at Wounded Knee, etc., into the future. You've got to be careful. Ten years from now this movie will say more about how we looked at things than it will about the historical things that are touched on in the story of Frank T. Hopkins and Hidalgo. I'd be curious to hear what you guys thought about it. The Buffalo Bill aspect was interesting to me and to my character, Hopkins. It was interesting to me to see that he - as portrayed by this actor - he had a certain awareness of what he was doing. Yeah. The movie doesn't hammer on it, but it does show it - even in a sort of nightmare that Frank had where it directly ties Buffalo Bill to participating in the Massacre, which you can do in a dream. What about the character, Frank T. Hopkins? Frank is not some kind of 'holy' person. He's a flawed person sort of stumbling around. He does have good attributes as much as he gets lost in drinking and running from what he is. At heart, in his foundation - the way he was obviously had to have been raised by his mother and whatever he got from his grandparents - he treats people with a certain amount of respect no matter who they are. He makes up for his ignorance, his lack of knowledge about the world and other cultures by being at least a little curious about it. That was just the first step toward being open-minded and making connections and realizing that you're not so different after all. This is one of the ways that the film has a universal human message, how it connects with people today as much as telling a good and important story from a hundred years ago. The story does show in a lot of subtle ways, in the framework of an old-fashioned drama, different relationships. The cowboy 'ethic' has as much in common ideally with the Medieval Knight or Lakota warrior or Samurai warrior in that you can be an individual, be independent minded and allow other people to have their individual experience too! It can be that way. So Hopkins is both Cowboy and Indian at the same time! It's very interesting...I can tell you really like this movie! What kind of choices were made about how much screen time the Indian scenes got? Because I was left hungering for more I wanted to see more Ghost Dance and when those figures appeared in the desert to Hopkins in a vision - why didn't we get to see more? I think it was not so much that they didn't want to show more, it's Joe Johnston's aesthetic. He wants it to be something where he's letting the audience read more into it. What Frank is seeing (in the dream/vision sequence) is more than enough. It's like if you were doing a story which involved Deer Woman or something and you have as guy go hunting and he sees this incredible looking woman who's tempting him, right? If Joe Johnston's shooting that, you'd see only a glimpse of buckskin robe or you'd see a blanket or you'd see some eyes in the bushes probably. For the most part I appreciated that he was subtle but I would have liked to see a little more dancing. How was it to shoot those parts, the Ghost Dance and the Massacre at Wounded Knee? The people involved, a lot of the people that were extras, were descendants of people that had survived that incident. And likewise, which is interesting, some of the guys playing the cavalry said that they had connections with soldiers from that time. There were two groups and some of them were very kind of standoffish toward each other and there was a blending later. There was a real seriousness about it, tension and nervousness and then once it started it was great. It was done respectfully and carefully and it wasn't necessarily something a studio would normally do but the care was taken with it. A lot of that was the writer John Fusco, but it was also Joe Johnston and Sonny Richards (the Lakota advisor). The whole way of preparing the singing, the dancing and who was selected as the extras was done in a good way. The Wounded Knee scenes were shot on Cheyenne River, not Wounded Knee Creek. But we shot in a place, a bend in the river that people felt was a good match for the way that part of Wounded Knee Creek would have looked at the time. Obviously we couldn't shoot in Wounded Knee because of the buildings and the gravesite. The site at Cheyenne River looked like the knoll at Wounded and the bend in the river. It was a good match. There was one thing we did which was good. We were coming from shooting in Morocco and working L.A. and then we came up to South Dakota. It was night and I drove to Wounded Knee and I went and I got a big bag of dirt from the real place and then we went and tied it in little bundles and the guy was singing and then Sonny Richards gave him some of the dirt and he did a ceremony before they started filming. Then they put that dirt around on the site where we filmed...which added something I think. It was nice. From my point of view it seemed that people were doing things in a good way. You could feel it in the crew, which is made up of lots of different individuals, and the guys playing the cavalry. By the end of those few days of shooting those scenes they were really paying attention in a way that they might not in a regular scene. There was something going on, the air was charged and guys were dancing and singing in between scenes so that by the end of the day they were really hoarse. How did you feel about those scenes with Indian people, when they were shot? That's such an important part of our history. I think an important point that was made in the movie was that there were Congressional Medals of Honor given to all of those cavalry soldiers for that participating in that massacre. That was a joke really, a tragic joke. One of the things I like about this story is that this information is in there. Thanks for that goes to John Fools Crow for making that be a catalyst in the story and for the character. Was it hard to pick up the Lakota language? Not too bad. I speak Spanish and Danish in addition to English so it was a little easier than if you only speak one language. But I also believe, as with the horses, that if you like something and you're interested in it - it's a lot easier to learn it. For me it was just as important to learn what Lakota I got to speak. It was important to me that it would be believable. Not to audiences in general but specifically to Lakota people who are speakers. At least I would make my best effort to sound like it was natural and because of the story not ruin it for anyone. It had to be believable that Frank Hopkins was raised speaking Lakota just as much as he was speaking English. So I worked as hard on that and took it as seriously as any of the horse riding or anyone else. Who was your language coach just to give them credit because you did a really good job. Absolutely. Sonny Richards was my first teacher and sort of my overall teacher and David Mid Thunder who plays Black Coyote, he's Lakota and he speaks really well. He's a good teacher, really patient and has a good sense of humor. He's a pipe carrier from up there and Sonny, he's a medicine man. Those guys took it very seriously. They were really particular and David was really helpful and then I made tapes of how they said things. And also tapes of myself speaking Lakota when they said, 'That's right, that's correct.' I had those tapes to take with me to Morocco when were filming in the Sahara Desert and Sonny and David weren't there. All that time I was in Morocco it was neat. We'd be out there in the desert. Everyone else would drive the hour, hour and a half back to town where the hotel wa, and I'd stay out in the trailer on the set, alone. The dust would settle and it was quiet. It would get dark and I would wash up, make myself some food or whatever and put on these tapes and a bunch CDs that I got from people and different places like Prairie Edge. I'd play these tapes and songs, ceremonial songs, and I'd have the door open in the trailer and I'd be out in the desert, in the middle of the Sahara. I'd be like singing Lakota songs out there - it was cool! I knew I had to come back here. So how was the experience for you, after everything was said and done? I think that the story handles the Lakota culture especially well for a Hollywood movie, pretty respectfully. For me, I was relieved and satisfied that the intent was made to do things correctly. It was very moving to me and I know, to the crewmember, to participate in the re-enactment of this history. Most of those people didn't know much about it, didn't know anything about the Ghost Dance and it's amazing to me how many people didn't realize that Wounded Knee was a massacre. A lot of people still don't know anything! So it was really eye-opening for a lot of people and you found even the most hardened sort of - just punching-the-clock folks - start listening and watching and saying, 'Man these guys take this stuff pretty seriously.' This is a very, very important thing that they're doing re-enacting this, re-living this. Digging up these people and these memories and sharing it, is a big deal. It's not just, 'Hey I got to be in a movie.' I didn't meet anyone that was an extra at The Wounded Knee set that seemed to be 'Hey, I'm just in a movie.' They were all on some level into the experience in a good way. When you approach it in that way, prepare it in that way, even if it's not spoken - that comes across, you can feel it. Even if it's just in passing it shows and I think you feel that. And the answer is, yes, I would have liked to have seen more of those faces in the film in every scene we shot. But I guess they felt they had to keep the story moving, just like there were a lot of Arab details in that world that we filmed in Morocco that we didn't see in the film. There was a lot in the Wild West that wasn't used, too. Well it was an epic story. You want to see more of everything, but it's an epic story and there is so much to get into this short amount of time that makes a motion picture. And as I was saying, sometimes if you're left wanting more, that's not such a bad thing. Same thing as in a friendship or especially in an intimate relationship. To be in too much of a hurry sometimes, sometimes maybe it's better not to be, to get to know somebody a little bit without thinking about it. That sort of 'instant gratification' approach to movie making, to a movie audience...sometimes it's better for you not to get everything, or get everything so clearly, handed to you right away. it's better to think for yourself.